Florida Real Estate: Waterfront Jupiter Inlet Colony Custom Dream Estate For Sale! 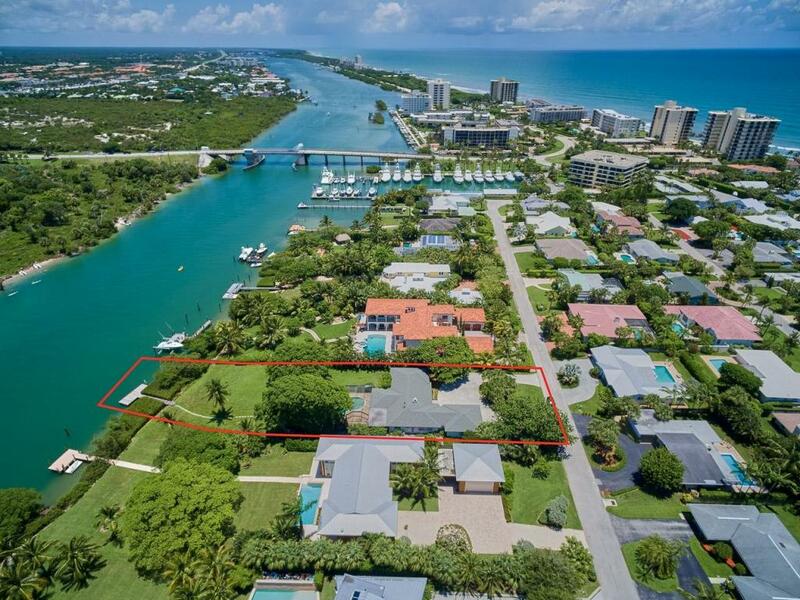 This gorgeous Jupiter Inlet Colony home boasts direct intracoastal vistas on the enviable Jupiter intracoastal. Aqua blue water with mesmerizing views of the infamous Jupiter Lighthouse are all within a private community only minutes to the Jupiter Inlet. This planned home to be built will feature four bedrooms, four and a half bathrooms, a loft, a study, and a first floor master bedroom. The chef's dream kitchen features sleek granite counter tops, custom wooded cabinetry, and a full suite of designer stainless steel appliances. The home will have wood floors, an elevator, and all high impact glass made with the finest craftsmanship and materials. If this rare opportunity to build your dream home with unparalleled views and is the perfect location look no further!This home will be built on over five thousand and three hundred square feet of perfectly appointed living space. All sizes and amounts are approximate. Construction on this home has not been started and will start when lot and home package has been purchased.